Proud District Partners of Kiddo! for the last 35 Years! Founded in 1983 by Master Roger Carlon, West America Tae Kwon Do is a family-run dojo specializing in traditional martial arts training. West America Tae Kwon Do opened in 1983 and is located in Mill Valley, CA. Since then, Master Roger Carlon has been training students in both classic traditional forms and new ventures into the competitive fighting aspects of Tae Kwon Do. West America TKD continues to produce premier black belt students and honorable citizens in our local community. Our goal is to guide and build well-rounded students and individuals in a fun and positive environment. Compared to other martial arts, Tae Kwon Do emphasizes very strongly on stretching and kicking. Widely regarded as one of the best martial arts for it’s kicks, we try to push our students to learn all about the striking and distances that comes with traditional Tae Kwon Do practices. With quality instructors, who have competed and won championships both nationally and internationally many times, you will receive elite instruction. West America strives to instill traditional martial arts tenants: Respect, Discipline, Integrity, Perseverance, and Honor through our teachings. Starting September 10th through the end of the School Year Little Ninjas Class will be Mondays at 2:30 - 3 PM. Little Ninjas Drop in's are $20/Class. We offer spring, summer, and winter Tae Kwon Do camps. Our camps can fill fast, so please register early! The next camp opening will be our Summer Camp, starting June 17-June 21, 2019, 9:00am to 2:00pm through August 12-16, 2019, 9:00am to 2:00pm. Free introductory lessons are taught by one of our Black Belt instructors. During the lesson, you or your child will learn some of the basic techniques in our curriculum as well as our dojo etiquette. We would be happy to help answer any questions you have regarding getting started as a student at West America Tae Kwon Do. We look forward to welcoming you to the WATKD Family! We offer introductory lessons for children Mondays through Fridays at 3:15 PM. Teen and Adult introductory lessons are available Monday through Fridays at 6:15 PM. For more information and to schedule your free introductory class, please email us below, or call us at (415) 383-4755. Registration for our after care program is open. We are continually accepting new students. We offer a comprehensive after school program where students can receive professional tutoring, creative enrichment, and supervised play. Sensei Roger Carlon, Founder of West America Tae Kwon Do and After Care, will be overseeing the program. Lara Zegart is the director of the program. She brings to the program her extensive background of working with kids and as well as her creativity and positive energy. Lara’s goal is to provide after care students with the resources and learning tools they need to achieve their highest potential. She believes this can be reached through perseverance, dedication and respect. WHY SHOULD I SIGN UP FOR WEST AMERICA AFTER CARE PROGRAM? Edna Kindergarteners can be picked up from Edna Enrichment classes for an additional monthly fee or from EDS at 3pm. Pickups at 1:40 for Edna Ks coming in Fall 2019! All Color Belt Testing will be on Friday January 18th at their respective class time. All Color Belt Make up Tests will be on the following Friday, January 25th at their respective class time. Dojo will be closed on Monday January 21st in observation of Martin Luther King Jr. Day. Class will resume it’s regular schedule the following day, Tuesday January 22nd. All Color Belt Testing will be on Friday February 8th at their respective class time. All Color Belt Make up Tests will be on the following Friday, February 15th at their respective class time. Dojo will be closed on Monday February 18th in observation of President’s Day. Class will resume it’s regular schedule the following day, Tuesday February 19th. Dojo will be open during Winter Recess break (Tuesday February 19th - Friday February 22nd). West America TKD will also be reprising their 4th appearance in the Southwest Airlines Chinese New Year Parade on Saturday February 23rd! Be sure to mark the calendar and tune in to see your dojo instructors and peers perform on live TV! All Color Belt Testing will be on Friday March 8th at their respective class time. All Color Belt Make up Tests will be on the following Friday, March 15th at their respective class time. All Color Belt Testing will be on Friday April 5th at their respective class time. All Color Belt Make up Tests will be on the Friday following Spring break, Friday April 19th at their respective class time. Dojo will be open during Spring break (April 8th - April 12th). The dojo will also be hosting a Spring Break Camp for those interested. Forms will be available in our camp section. All Color Belt Testing will be on Friday May 10th at their respective class time. All Color Belt Make up Tests will be on the following Friday, May 17th at their respective class time. Dojo will be closed on Monday May 27th for Memorial Day. The dojo will also be participating in the Annual Memorial Day Parade, the dojo will be practicing throughout the classes in May for the parade. Please show your support for the dojo by coming by and marching with us and show off your martial arts skills! All Color Belt Testing will be on Friday June 7th at their respective class time. All Color Belt Make up Tests will be on the following Friday, June 14th at their respective class time. Dojo will be hosting our Summer Camps starting Monday June 17th. Daily training, different daily field trips, and plenty of fun! For more information see our Summer Camp section of our website. All Color Belt Testing will be on Friday July 12th at their respective class time. All Color Belt Make up Tests will be on the following Friday, July 19th at their respective class time. Dojo will be closed on Thursday July 4th in observation of Independence Day. Dojo will also not be having Summer Camp during the week of July 4th. All Color Belt Testing will be on Friday August 9th at their respective class time. All Color Belt Make up Tests will be on the following Friday, August 16th at their respective class time. All Color Belt Testing will be on Friday September 13th at their respective class time. All Color Belt Make up Tests will be on the following Friday, September 20th at their respective class time. Dojo will be closed on Monday September 2nd in observation of Labor Day. All Color Belt Testing will be on Friday October 11th at their respective class time. All Color Belt Make up Tests will be on the following Friday, October 18th at their respective class time. Dojo will be closed on Monday October 31st in observation of Halloween. All Color Belt Testing will be on Friday November 15th at their respective class time. All Color Belt Make up Tests will be on the following Friday, November 22nd at their respective class time. Dojo will be closed on Monday November 11th in observation of Veteran’s Day. Master Carlon is the owner and operator of West America Tae Kwon Do. 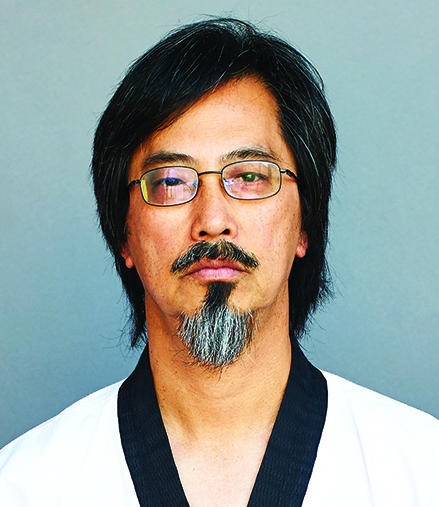 He has been running the dojo in Mill Valley since 1983. Master Carlon has over 35 years of extensive experience in working with students of all ages. His teaching style is unbeatable - he has keen eyes in bringing out the best potential from his students, and expects no less than 100% of them. He is the proud father of Chantal and Roger Jr., both multiple-time national champions, and martial artists in their own right. Chantal Carlon began her training at the age of three under her father's watchful eye. Tae Kwon Do is her passion in life and she continues to train and compete regionally, nationally and internationally. She says, "Tae Kwon Do has allowed me to experience so many special experiences like traveling to South Korea and training at the Tae Kwon Do headquarters. I've met so many wonderful people through the dojo and it's really like having an extended family. Tae Kwon Do has truly shaped me to the person I am today." She loves teaching and finds it very rewarding to pass on the art of Tae Kwon Do and see progression in the students. 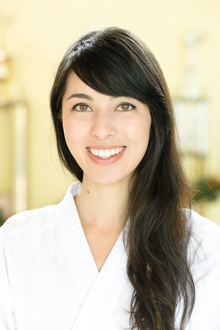 Chantal graduated from UC Berkeley and is a head instructor at West America Tae Kwon Do. Roger began his Tae Kwon Do training at the age of four. He had lots of energy and channeled his enthusiasm into his love for Tae Kwon Do. He was inspired by Bruce Lee, Ninja Turtles and Street Fighter video games. 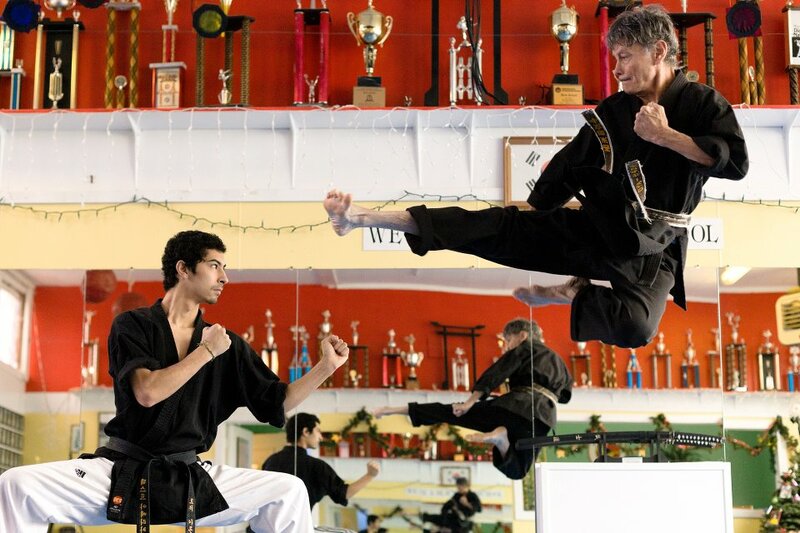 He loves all forms of martial arts, and practices all over the Bay Area. His passion for learning and humor make a dynamic teaching style. He takes a very big interest in MMA, Judo, and Jiu-Jitsu, as well as all forms of fighting and learning on how to apply all their strengths to his own unique fighting style. Roger is 9-time USA National Champion and continues to compete regionally, nationally, and internationally. Patrick started his Tae Kwon Do journey in the most unexpected way. His two sons were young at the time, and they relied on him to take them to their Tae Kwon Do classes. Patrick ended up sitting in the dojo 2 hours everyday. He had lower back pain and exercise was one of the doctor’s prescribed remedy to alleviate the problem. Tae Kwon Do seemed to be the perfect solution. He walked into his first lesson as a white belt, and was immediately hooked by the holistic experience. He had not stopped learning ever since. Patrick believes learning and teaching is always in tandem, always reciprocal. He believes learning will not be complete until one can impart what he or she has learned to the future generations. It is an assumed mandate as a martial artist to help another fellow martial artist in his or her path to finding the do, the way. That is his mandate, his passion. Outside of Tae Kwon Do, Patrick enjoys movies and cooking. He has a wicked serve in table tennis that welcomes anyone for a friendly match.